Make the most of what Edinburgh has to offer by staying in this luxury self catering apartment right in the heart of the city. 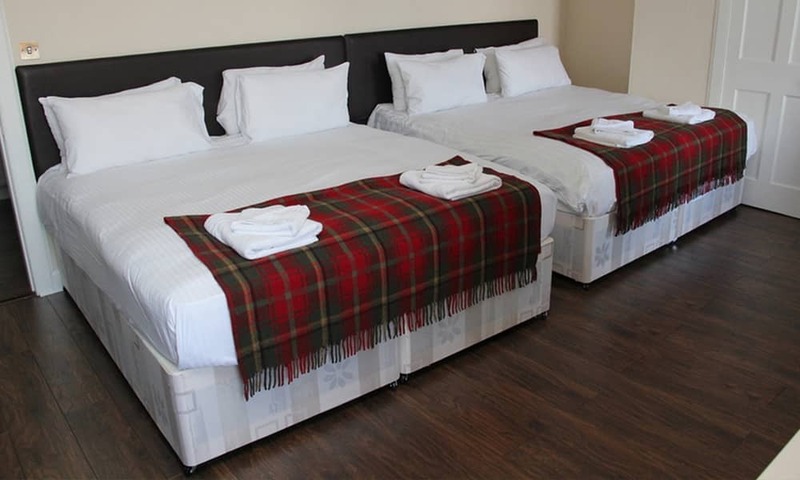 The apartment is located on the Royal Mile and just a few minutes from all the major attractions, as well as the railway and bus stations. Sleeping up to 12 people, this luxury accommodation is the perfect choice for your stag or hen weekend in Edinburgh! The large, open plan kitchen dining lounge area is ideal for your whole group to relax together. The kitchen area is fully equipped with everything you'll need for your weekend away including a microwave, large fridge and modern fittings. The lounge area has a comfy, sofa, WiFi and a flat-screen TV. Each of the 4 bedrooms can sleep 2 people, in double or twin beds depending on how you would like the rooms configured. There are also 4 additional fold up beds to make up the arrangements for 12 people. Modern bathroom with a shower & bath plus 2 other separate shower rooms. Please note: This apartment is on the 3rd floor (with no lift).